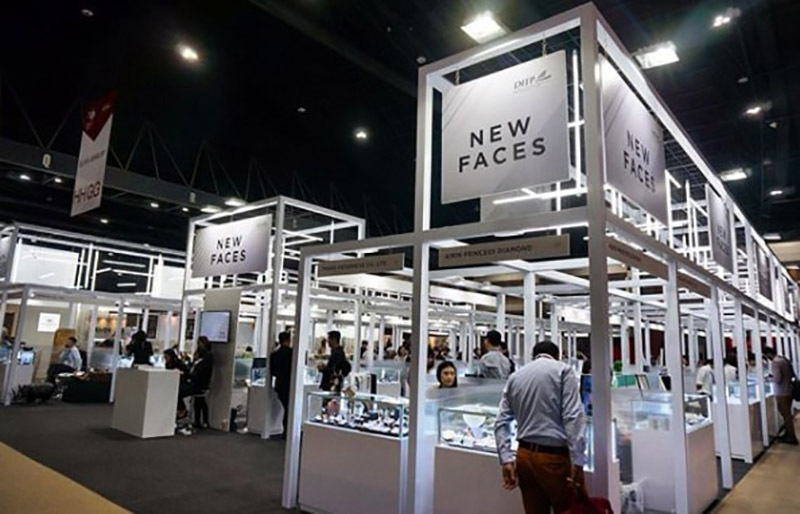 The 61st Bangkok Gems and Jewelry Fair (BGJF) under the theme “Heritage & Craftsmanship, held at the Challenger Hall 1-3, IMPACT Muang Thong Thani, Bangkok, from February 21 – 25, 2018 was opened by the Minister of Commerce of Thailand, Sontirat Sontijirawong. 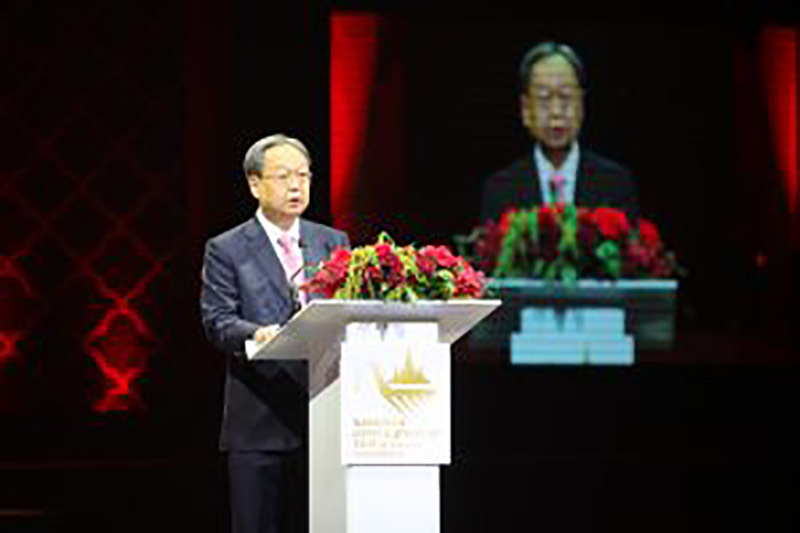 The fair held under the auspices of the Ministry of Commerce’s Department of International Trade Promotion (DITP), is expected to attract over 20,000 visitors from 130 countries, with 900 leading companies from Thailand and abroad taking part and occupying over 2,000 booths. In the year 2017, the gems and jewelry industry of Thailand was ranked as the third highest export industry in the country after automotive and computer industries, achieving total export earnings of nearly US$13 billion. 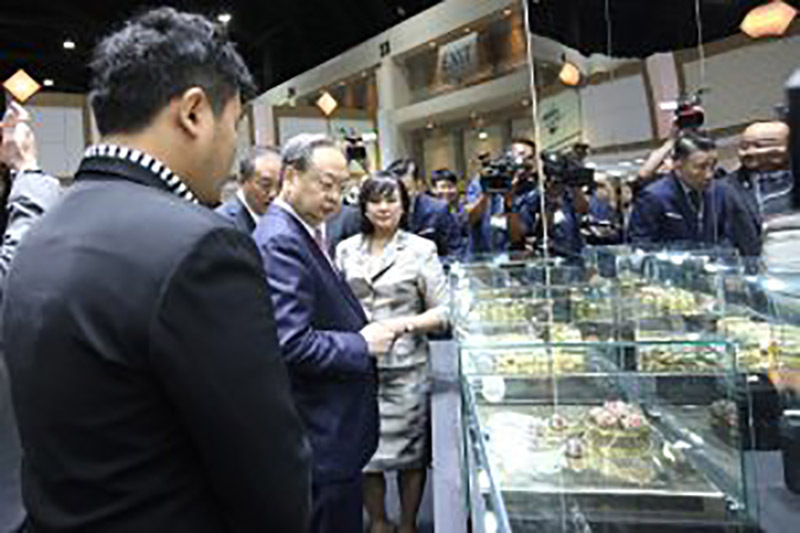 Excluding unwrought gold, the jewelry industry registered an increase in earnings of 2.25% over that of 2016, which according to the organizers of the fair, was first time it happened in the last three years. The Bangkok Gem and Jewelry Fair while aiming to highlight Thailand’s cultural heritage and the craftsmanship of Thai artisans, and setting the stage for local and international companies to engage in trade negotiations, is also expected to give a further boost to the country’s exports of gems and jewelry in the year 2018. 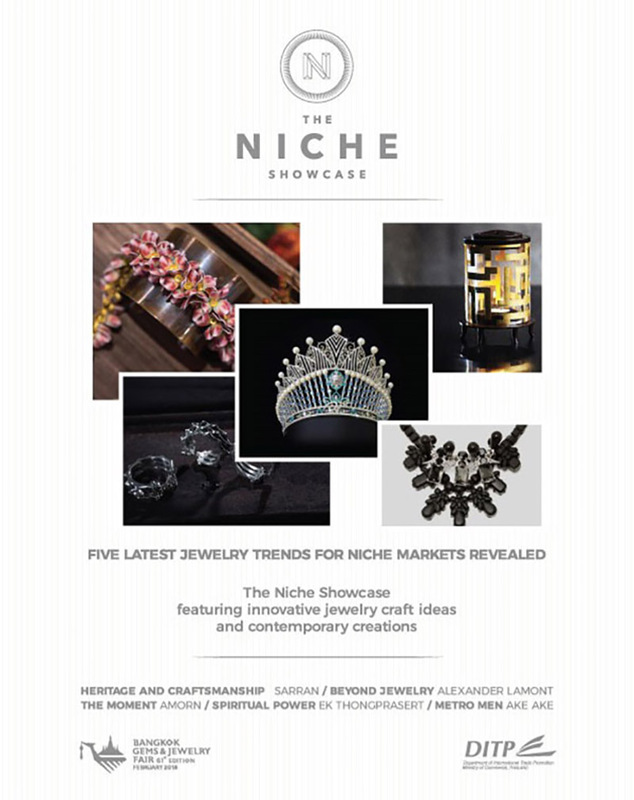 For this year’s show, the fair organizers in keeping with the government’s “Thailand 4.0” and “Creative Economy” initiatives have created several special exhibition zones, such as “The New Faces” featuring jewelry products from leading SMEs across the country with over 120 new exhibitors; the “Innovation and Design Zone (IDZ)” featuring innovative products from start-ups as well as jewelry that utilize new techniques; and “The Niche Showcase” featuring the latest trends in jewelry for niche markets. 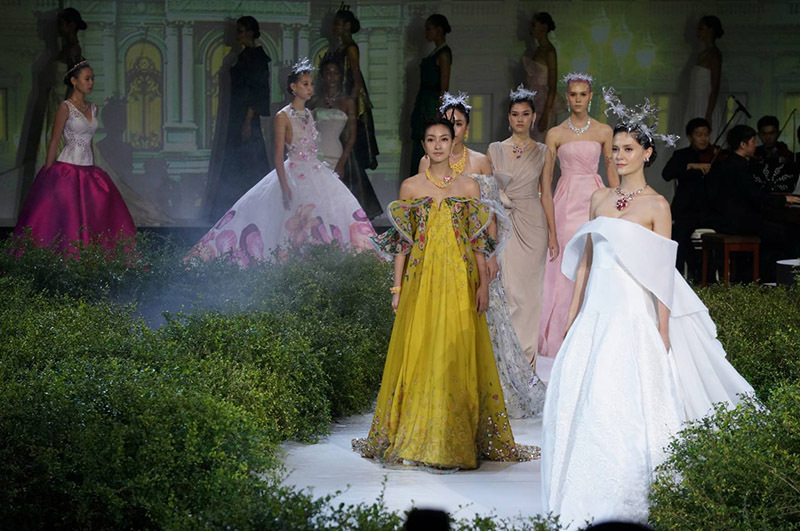 Apart from this several informative seminars and consultation workshops, by both Thai and international experts will also be held during the period of the show. 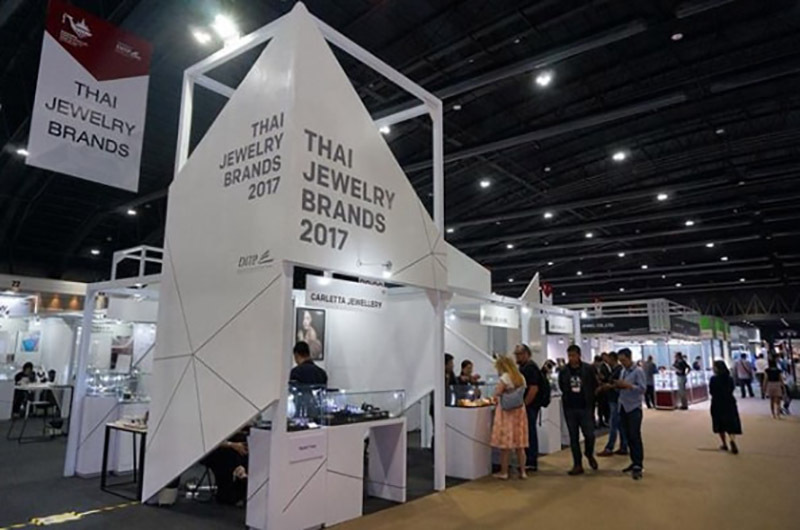 Mobile gems analyzing unit from the Gem and Jewelry Institute of Thailand (GIT) and other world-leading institutes will also be presented at the show.